As some of you may already know, I grew up over in Milngavie. In the last couple years of my time there, I worked in our family business and, as much as I still talk about it and am grateful for the time I spent there for the life experience it gave me, it was not fun. Every week, customers with whom you thought you had built up a good relationship ditched you for a couple of quid, which had just been added on to another product by the competitor. Every month, restaurants would delay paying while suppliers put holds on our supplies until they were paid. My father was ill, which was why I was there, and my mother was, like me, stressed out of her skull. Often I needed to get out of the house and go for a drive or a walk to simply clear my head – to try and think of another way to help keep things going for another week –to try and do my bit to help keep a dozen people in a job – to try and do my bit to help keep the bills getting paid. 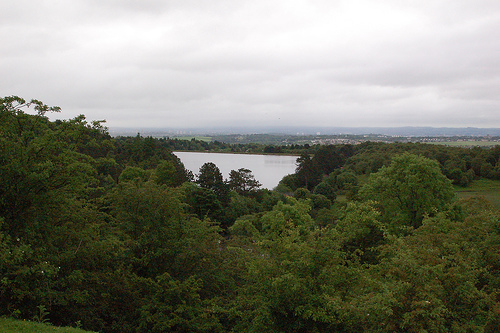 More often than not, I ended up in the same place, which became my thinking spot – it was at the top of a hill overlooking Mugdock Reservoir, the town of Milngavie and out towards Glasgow. It would have been much closer to the state of glory that Jesus deserved than what was to come. Down into the mundane reality of everyday life. Down into the communities tearing themselves apart with petty squabbles or bitter rivalry. Down into a world burdened with pain, persecution and poverty. Mark’s Gospel is the Gospel of Action. There is no time to spare, be it in the comfort of our home, on the mountaintop, on the street… What are we going to do with this time as individuals, as a community…as a Church? Are we going to look out at all that is good and stay there? Or are we going to climb back down the mountaintop to what lies outside these doors, outside the doors of our homes, outside the doors of the car or the bus – to continue to reach out in prayer and in presence to the brokenness, fear, disappointment, and loss that surrounds us all? Really moving and stirring at the same time. My “place” used to be the Esplanade at Stirling Castle at night. Kind of miss it now. I suppose those of us called should always remember though that even Jesus took time to socialise and unwind and, more importantly, time on his own to pray. Thanks, tou have inspired me at 04:30 on a wet Tuesday morning.